Germany football fans woke up to a Balotelli nightmare after the German team were eliminated from Euro 2012 by Italy and two goals by Mario Balotelli. 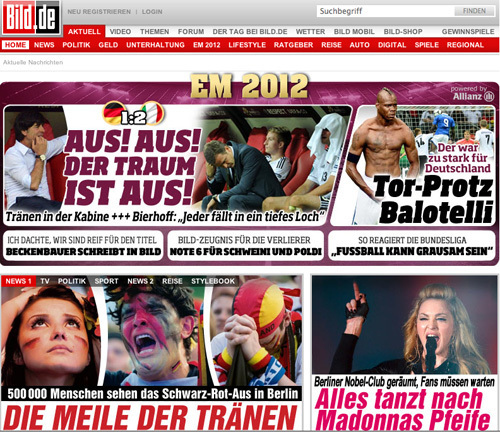 Here a sample of the media reaction. Over! Over! The dream is over! Jogi where was your golden hand? Once again no German triumph. Again no title. We last won in 1996, 16 (!) years ago. Back then we became European champions under coach (Berti) Vogts. And once again we lose to those Italians! It’s still the same. We cannot win against Italy in tournaments (four draws, four losses). And now our wonderful run of 15 competitive match victories in a row is over. Oh, how bitter. Jogi, where was your golden hand? Löw gambled – and lost. The national team coach once again made three changes. But what worked against Greece went all wrong against Italy. 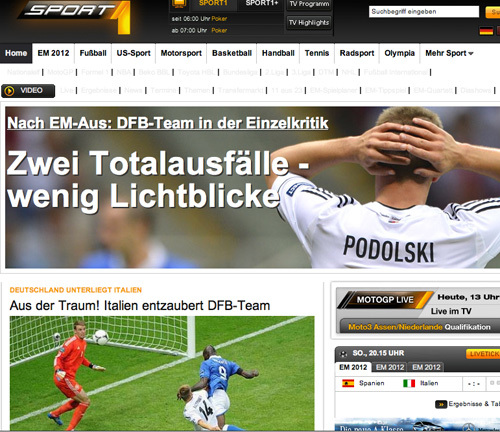 (Mario) Gomez (for Miroslav Klose) and (Lukas) Podolski (for Andre Schürrle) were both complete failures. Both had to be subbed out at halftime. Löw admitted that he made the wrong line-up. But the correction came too later. Klose and Marco Reus provided much more power but we could not bring about the turnabout. 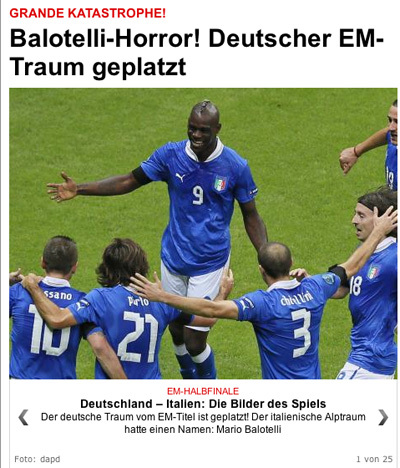 Over and out: “Nightmare” Italy once again ripped Germany out of their title dreams. Six years after the pain end to the summer fairytale (at 2006 World Cup), the Germans lost to the cheeky Squadra Azzurra in the Euro 2012 semi-final 2-1. Joachim Löw out-tricked himself with the rotation and Germany misplayed their chance to finally end Spain’s dominance over the football world. Once again Italy, and once again the semi-finals. Thanks to two goals by Mario Balotelli, Italy beat Germany 2-1 in the Euro 2012 semi-finals against Germany and will face off against Spain in the final. The German team must ask itself why they once again had up a mistake-filled performance at the end of a major tournament. History repeats itself: Italy remain Germany’s bogey team in the Euro 2012 semi-final. Löw’s rotation did not work. 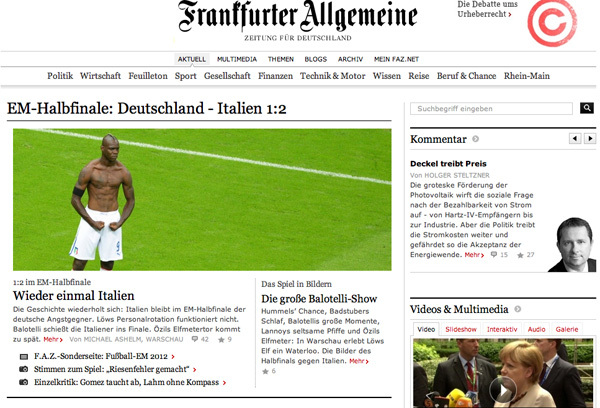 Balotelli shot the Italians into the final. Özil’s penalty comes too late. 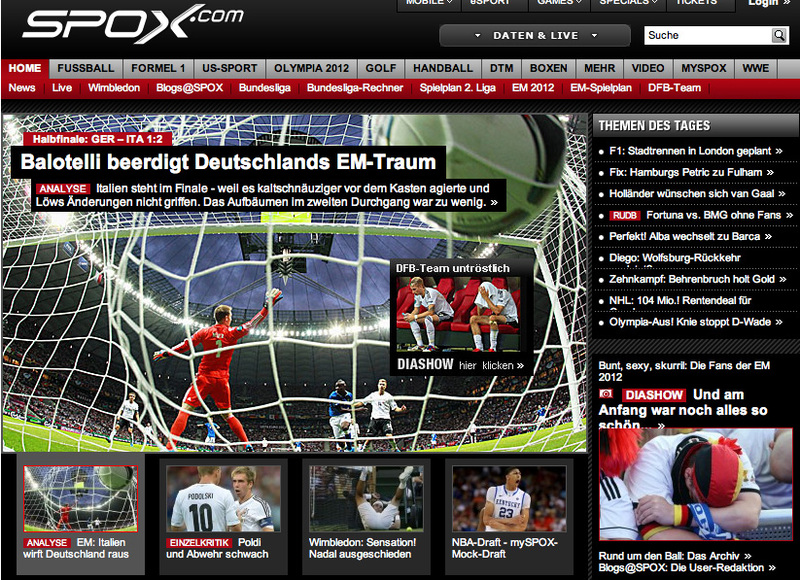 Joachim Löw said the title was the goal for the German national team at Euro 2012. But the national team coach selected the wrong tactics against Italy and provided for the bitter elimination. 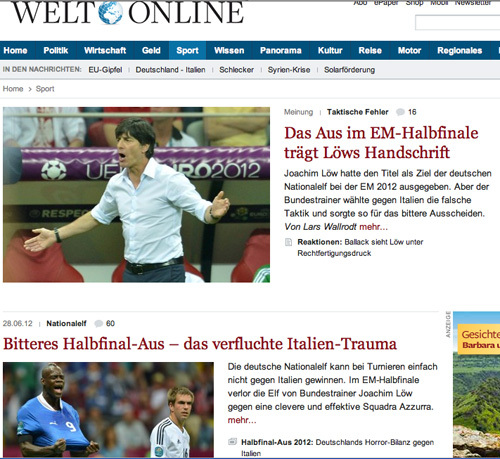 The German national team simply cannot win against Italy at tournaments. In the Euro semis, national team coach Joachim Löw’s XI lose against a clever and effective Squadra Azzurra.